It’s a sad fact that even in the best quality boots on the market, there is still usually massive room for improvement when it comes to the standard insoles or footbeds supplied with them. Most people as they get older and maybe gain that extra bit of weight tend to over-pronate – that is, their arch tends to collapse and the foot elongates more than it should during the weight bearing portion of the step. Soft connective tissue is stressed and stretched because of overloading and may result in commonly seen complaints such as plantar fasciitis (heel or arch pain) or hallux valgus (bunions). The resultant joint mobility can in turn lead to related problems that are not just restricted to the feet as the body as a whole is thrown out of alignment. This misalignment, together with an often present excess inward rotation of the leg can adversely affect the knee, hip and spinal regions. The appropriate supportive orthotic can help correct these issues and redistribute pressure both on the plantar (underneath) surface of the foot and within the various affected joint structures. There is great debate amongst runners, walkers and foot care professionals on the subject of pronation and its opposite action, supination. Suffice to say that not many shop staff understand the relationship between the two mechanical processes. In fact, during a normal gait cycle, the foot should both pronate to adapt to terrain and supinate when in the propulsion phase of the footstep! 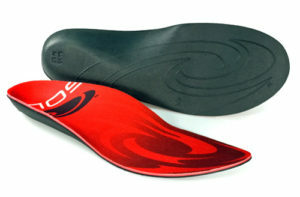 The majority of people in our opinion would benefit from some form of after market orthotic insole to provide motion control, support, pressure distribution, cushioning or a mixture of the above. Si takes supplying orthotic footbeds very seriously and is aware many shops don’t understand the biomechanical effects of them on the anatomy of a customers feet and body. For that reason he doesn’t pressure sell any of our range of insoles but offers them only when he sees a positive benefit. For customers experiencing issues too complex to be addressed by a non custom orthotic, he’ll strongly advise a visit to one of Mountainfeet’s preferred podiatrists where a full functional assessment of their needs can be made. Mountainfeet sell and fit a comprehensive range of orthotic footbeds with emphasis firmly on supplying the correct type for an individual customer. From the simple but still effective Superfeet footbed seen widely in outdoor shops through to customisable, high specification Sidas orthotics, there will be a solution for most non complex issues. There are several pieces of equipment in the shop to help with both basic functional assessments and the creation of customised orthotics. 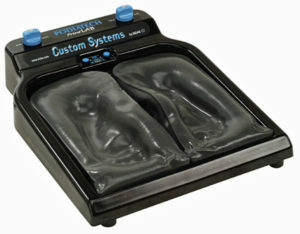 These include a treadmill which is also useful for road testing footwear, a device for looking at plantar loading, an element oven for moulded footbeds and most interesting, a Sidas ‘Printlab’ vacuum casting device for taking a mould of a customers foot shapes. Si has much experience in the use of the Printlab and it’s best to book an appointment for boot fitting if you feel you might benefit from its use. 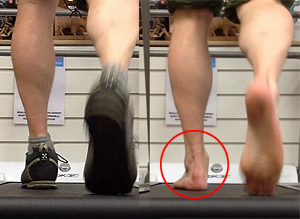 The treadmill also allows for a basic but informative gait scanning facility which is sometimes useful for determining asymmetric issues and whether the customer is biased more towards over or under pronation while walking or running. It can also be used to look at the effect of dynamic corrections made using orthotics although in practice Si tends to assess all the above via eye while watching a customer walk the length of the shop floor. The treadmill is a piece of equipment that is often misused. For the right person, it can generate useful information and allow a fairly realistic test of both orthotics and footwear. For those not familiar with their use, they can prove to be a serious hindrance to the process of providing the correct advice and footwear. Si only uses equipment if it is appropriate to both the situation and the customer so don’t worry. If the treadmill is your personal nemesis, you won’t be forced to endure it! What also helps build a picture of any biomechanical dysfunction present within a customers gait is the examination of well worn footwear which has been used until recently. Sometimes, the simple act of investing in a new pair of shoes can realign the lower limbs and body quite dramatically whereas the continued use of badly worn or deformed footwear can be seriously detrimental. So don’t be afraid to bring in previous pairs of boots or shoes for Si to look at – they often tell an interesting story! During our conversations with customers Si frequently use models of the feet to explain particular aspects of their physiology – many people find this information highly interesting and they often benefit from being more aware of their own body and the way it functions. There is also educational and medical software he can use to explain particular issues that may be troubling you. Many customers presenting themselves with foot pain benefit from having their range of pronatory movement controlled with a basic, out of the box, anti-pronation footbed/orthotic from Superfeet, Sole and Sidas. Be assured that Si will carefully choose the right one to match both the customers needs and also the footwear that the footbed is being installed into. For those customers who need a slightly more customised approach and who are initially reluctant to visit a podiatrist, Mountainfeet offer a more specialised service still. The Sidas Podiatech orthotic can be subtly altered and tuned to specific needs and also has an optional metatarsal dome which can be useful for the relief of certain conditions such as Mortens Neuroma. This is a painful swelling of the intermetatarsal plantar nerve often exacerbated by pressure from the toe joints adjacent to it – typically a sharp pain is felt between the 3rd and 4th toes which sometimes eases when footwear is removed. On occasion, a modular and moldable orthotic such as the ICB system may be used which can cope with particular irregularities in the foot’s shape by having deflections made to it using tools or heat. This level of service will usually necessitate making an appointment by using our booking system and involve an additional cost. 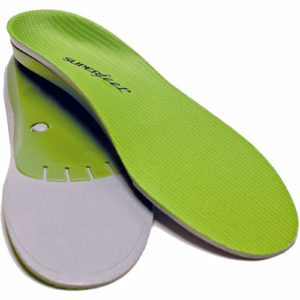 There are a cross section of people for whom additional support in their footwear isn’t the remedy for their problems. 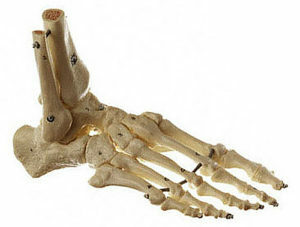 These tend to be supinators (or under pronators if you prefer!) who instead of pronating correctly or over-pronating, have very rigid feet which struggle to flex and adapt to the surfaces they walk on. Very often, these folk will need additional cushioning in their footwear as they are at risk from a series of impact related injuries and complaints when walking or running. 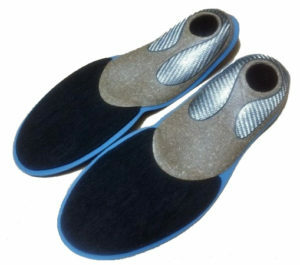 For them, a Sorbethane, Noene or Spenco product which is designed to absorb impact without drastically reducing the available space in the shoe or boot would be offered – supinators typically have a high arch and instep which can be difficult to accommodate in certain footwear. Although technically some of this orthotic product can be bought off the shelf and fitted at home, this is NOT a good idea. 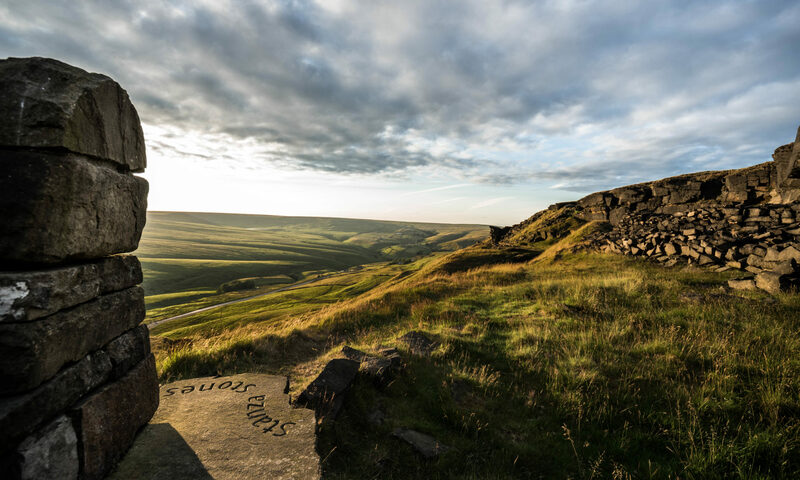 The cost of an insole of any sort from Mountainfeet includes FREE fitting and offers the customer a chance to have Si properly assess the size and volume of BOTH your feet. Si is highly experienced in this area and can point out any problem areas that may need looking at in more detail. In the event of needing a professional medical consultation, Mountainfeet have teamed up with several skilled practitioners who are available to investigate issues fully and offer appropriate treatment. Si is often able to communicate directly with them on your behalf and make appointments for urgent attention if necessary. And for those visiting from outside our immediate area, Si wil be happy to provide details of a professional local to where you live.